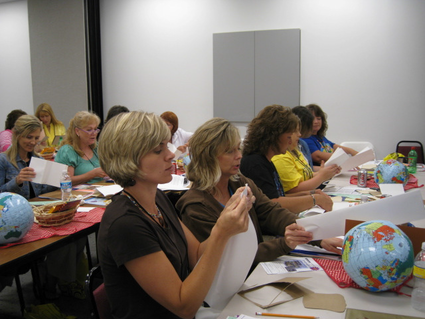 Kentucky Farm Bureau is pleased to announce we will once again be offering regional teacher workshops in June. The workshops will highlight a variety of state and national agricultural lessons designed to address Kentucky's core competences. These thematic lessons and materials will enhance learning retention and help you teach Mathematics, Social Studies, English, and Science through real-life application. The workshop registration fee has been waived for all Kentucky educators, compliments of Kentucky Farm Bureau. Please be aware that availability is limited; therefore, early registration is encouraged. Please register online by the Friday, June 3, 2016. © Copyright 2016 Kentucky Farm Bureau. All rights reserved.